Anniversary Today Debian marks a milestone not many pieces of software last long enough to see: its 20-year anniversary. Debian has become the foundation of dozens of other Linux distros. It’s the basis of all manner of embedded systems – which means many of the uninitiated use it without knowing – and it boasts a customers list spanning governments and giant globo-corps alike. And it has achieved all this without the continued presence of its founder driving the show in the way that Linus Torvalds drives Linux, and despite delayed releases and public spats. But that isn’t even the best bit. What's even more remarkable about Debian is that the project behind it continues to churn out great, reliable software and that Debian remains - after all these years - true to the vision (and accompanying manifesto) that accompanied its birth. The Debian Project was founded by Ian Murdock and officially brought to life on 16 August, 1993. 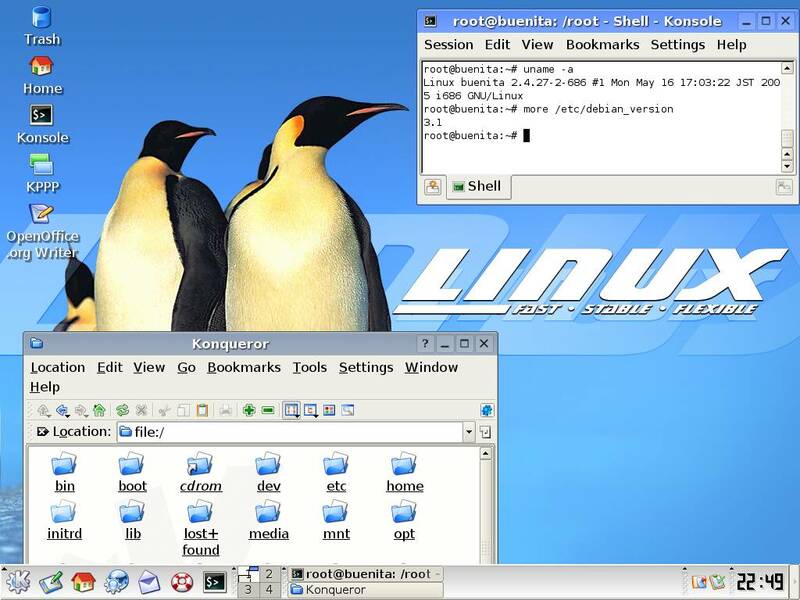 With the backing of the Free Software Foundation's GNU project, Murdock set out to create what he called "a distribution that lives up to the Linux name". Murdock's vision for Debian was to "carefully and conscientiously put together" a distribution that "will be maintained and supported with similar care". As you might expect, Linux was in its infancy and installing it was no small feat. The concept of a "distribution", as we know it today was relatively new. Certainly maintaining a collection of code as vast and tangled as Debian was unheard of. Indeed to this day, while Debian is clearly not all sunshine and roses, the stable channel release remains one of the most rock solid, well-built Linux distros in the community. That's why Ubuntu and countless other distros start with Debian's core - because they can depend on that stability. While stability might be Debian's hallmark (though there are of course other channels which offer more cutting-edge releases), the other aspect that makes Debian stand out from the crowd is Murdock's emphasis on doing everything in the open - anyone can contribute, everyone can see what's going on. That principle has since become the guiding force for many a free software project, but today it is becoming less common again, which is precisely where Debian still looks like a leader even 20 years on. The distribution – the actual packages and code that make up Debian – are, in the long run, only half of what makes Debian important in the open software world. Debian's real strength is philosophical and cultural. That Debian remains free – in nearly every sense of the word – in a largely unfree world, makes it more than a Linux distribution: it makes it an icon. Today's Debian occupies a role in the open software world not unlike that of Patti Smith in the punk rock world: the elder statesman, or woman as it were, that never sold out. For most of us the journey into Linux and often free software more generally starts with distros like Ubuntu or Mint, which both make great starting points for anyone moving away from software like Windows. They're friendly for newcomers, they have graphical wrappers for most tools and for the most part they "just work". But as you become more familiar with Linux and begin to dig deeper into the system, installing and customising countless packages along the way, you will inevitably brush up against some disdain for the gateway distros like Ubuntu. Next page: What is this 'Debian' of which you speak?